The schedule of battles for the 2010 Miltown Beat Down has been finalized! On May 7th, we will be hosting an additional battle in the parking lot of the Wherehouse. This battle will be open to all who entered the battle and did not make it in, and anyone who was too late to get on board. The will be a FREESTYLE battle, where producers will be allowed to play any beats they want in a head to head style competition. The producer with the highest overall score, will get to have the 16th spot. 2009 Miltown Beat Down. What it’s all about! 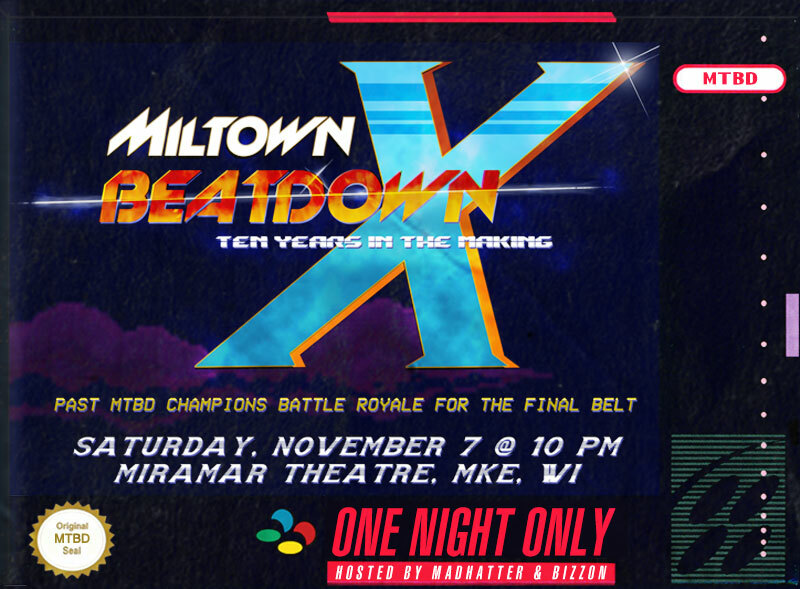 The Miltown Beat Down is Milwaukee’s premier head to head Hip Hop battle. Now it’s it’s 4th year, this year’s event encompasses more Milwaukee talent than years past, in a marathon of Hip Hop battles. The first battle, The FREESYTLE, will be just that. 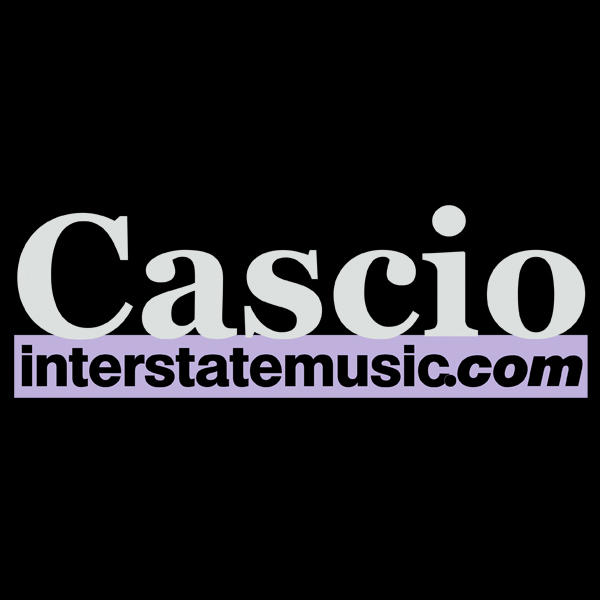 A traditional head to producer freestyle, in which producers play their top beats against one another. Which ever opponent gets the crowd the loudest wins. In the second battle, THE HEAVYWEIGHT BATTLE requires a bit of homework. in this battle, producers will need to be on their A game, when we give them a folder of unknown sounds and samples they must manipulate to create new original beats for the battle. The final evening will feature the competitions most difficult challenge; the A-TEAM BATTLE. In this battle four producers will each be given a secret envelope of sounds, samples and audio clips they must incorporate in beats they make right there on the spot. The battles have been building in attendance and energy over the past months as we prepare to see the finalists battle in the historic Turner Hall Ballroom in downtown Milwaukee on April 4th 2009. Production battles have been gaining popularity in the hip-hop scene worldwide. What makes the Miltown Beat Down so unique is its long run and it’s nontraditional format. No beat battle in the world is set up like this one. For over three months, downtown Milwaukee will host dozens of local rap producers in a multiple round format. Jordan “madhatter” Lee hosts the morning drive show on 88.9 Radio Milwaukee, is a member or Milwaukee hip hop giants the Rusty Ps and a member of the Red Bull Music Academy’s Mr. X Program. As the host and creator of the Miltown Beat Down, Jordan aims to build bridges and unify Milwaukee’s extremely segregated hip hop scene. An impressive list of celebrity producers, local musicians, deejays, and radio personalities will be judging the final event. 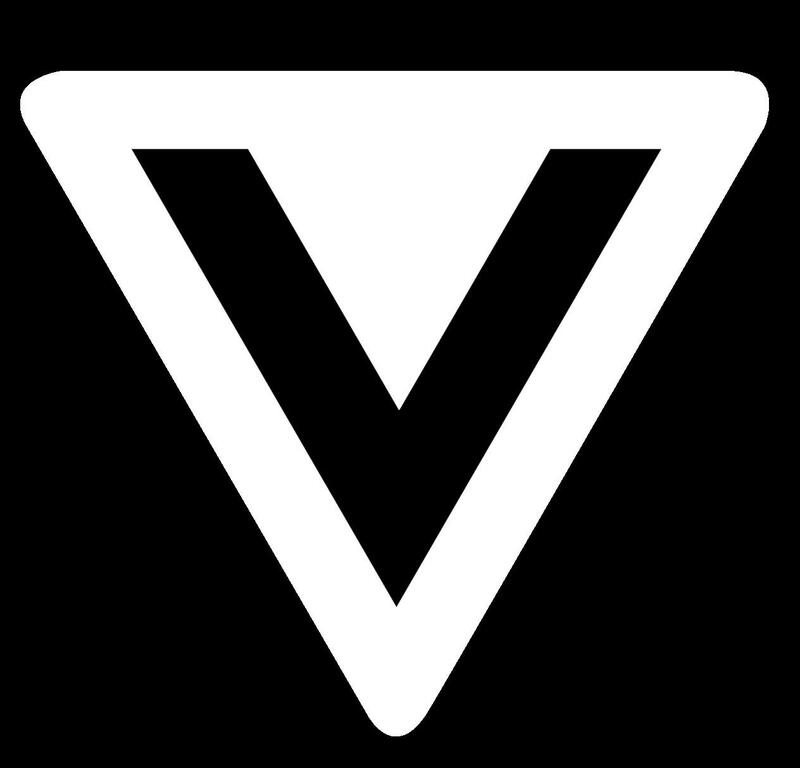 Every Wednesday night, the Jackalope will host a different round of the battle. The battles will continue throughout the winter, and as soon as the snow begins to melt, the final round will commence April 4th in the historic Turner Hall Ballroom. With three unique events, this years battle will be the most action packed event of the Milwaukee winter. As an active member of the Milwaukee Hip Hop community, Dj Madhatter is very aware of the social, economic and cultural segregation within our city. With the Miltown Beat Down, we hope that area Hip Hop artists will have a platform free of any barriers with which they can come together and share a stage and audience. The battle has always been an important part of Hip Hop culture, and is one of the primary roots of the genres existence. This event aims to bring together Milwaukee artists of all ages, races and cultures. Our goal is for Milwaukee artists to bridge gaps, and find ways to collaborate with a neighbor whom they may have otherwise never had an opportunity to work together. The Miltown Beat Down has again partnered with the True Skool Organization to further develop our goals of community outreach and diversity. TRUE Skool’s mission is to use cultural arts to educate and empower youth from different backgrounds and cultures to become leaders for positive social change in their communities. By infusing the core values of Hip Hop Culture; conflict resolution, creativity, self-expression, non-violence, and community activism, this unique organization positively impacts a diverse group of our inner city’s youth.